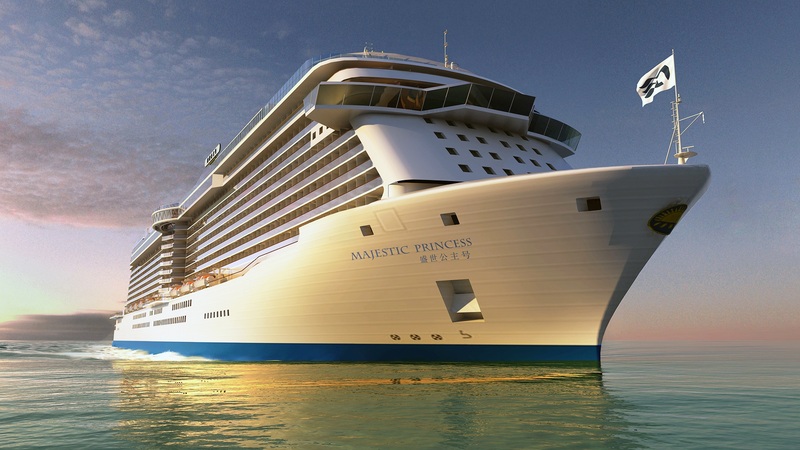 Princess Cruises 2017 newbuild, Majestic Princess will be homeported in China. She is being built in Italy however. So before she sails half way around the globe, she will offer a month of short Mediterranean cruises. Commencing April 4, 2017 there will be a 5-night cruise out of Rome (Civitavecchia). Then she will sail from April 9th to mid May on a series of 7, 14, 21 and 28-day Mediterranean voyages. They can be booked departing out of Barcelona, Athens or Rome.